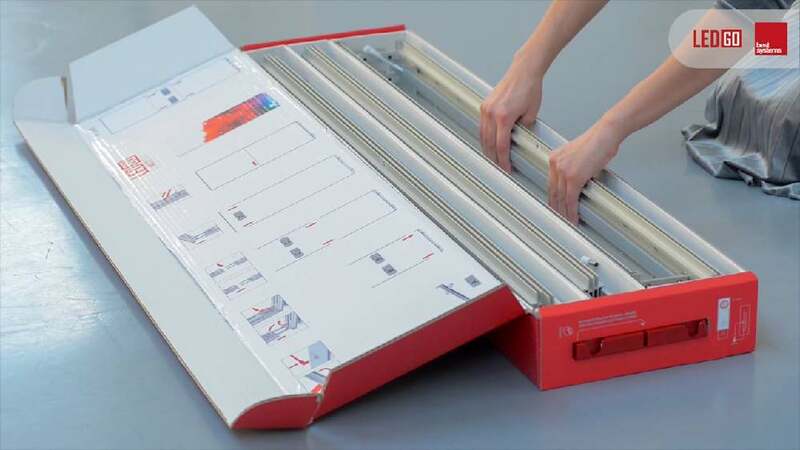 This multifunctional packaging designed for LE[D]GO lighting boxes meets the requirements of being ecologically sound, user-friendly, reusable, light in weight, as well as functional and economic. The design is based on the idea of having a cardboard package that can be extended if necessary. It thus consists of two sets of parts: the exchangeable prints and the fixed parts for the frame. This has been made possible by designing a two-position locking mechanism.